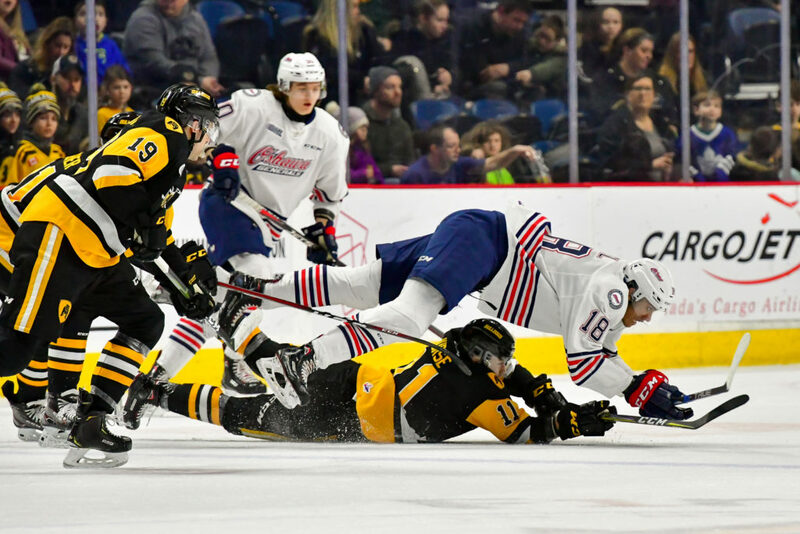 Oshawa got on the board first with a short-handed goal at 2:38 of the 1st period, but the Bulldogs offence got rolling as Matthew Strome (23, 24) scored twice, first on a one-timer and then off the post and off the Generals goalie, to give the home team a 2-1 lead. The visitors tied the game 2-2 at 6:57 of the 2nd period with the Bulldogs taking the lead once again as Logan Morrison (7) wristed one home on the power-play, high glove side, as the Black and Gold went to the dressing room with a 3-2 lead. Generals goal scorers were Kyle MacLean (14), Allan McShane (24) and Serron Noel (27).